1. Transfer from att mid 1/3 to att 1/3. 2. 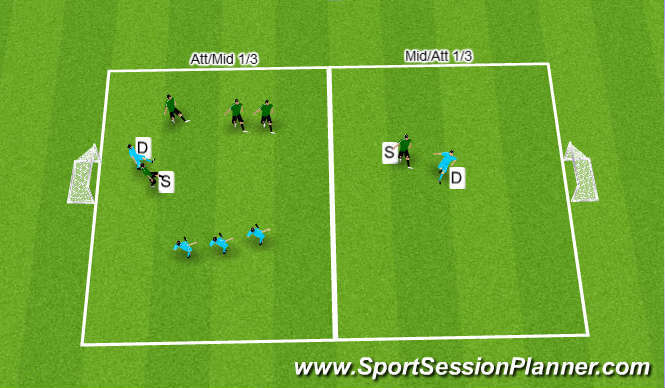 Ball in to S when controlled all into att half except D & S go for goal. 3. Vice verca other team. 1. Each team has a target. All to be plated and then into opposing half. Understanding of suppert 1/3rd = angle & distance. 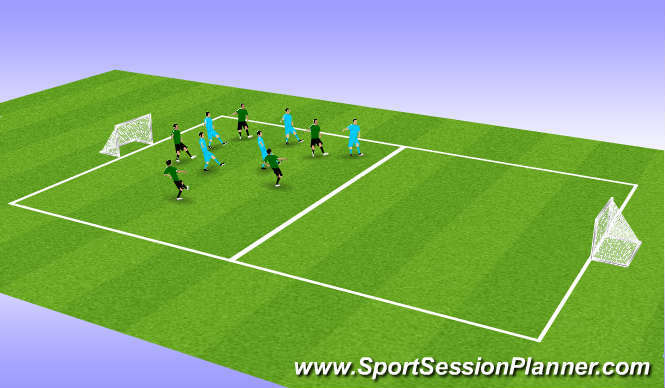 Understanding when to apply third man running overlap 1-2 etc. can you retain self control in an emotionally charged atmosphere and have a competitive edge. A high energy session which the players responded to the idea of developing &apos;thinking&apos; actions instead of reflex action is slowly being taken onboard.